A family owned company moving families across St Catharines, the Niagara Region and across the globe. Relocation and transition services for seniors. Check out our website and choose only the services you need. Free no obligation estimate. Call today ! MOBILE STORAGE TO YOUR DOOR! 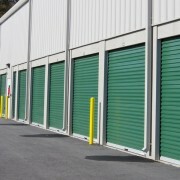 Niagara's Most Affordable Storage! RV, Boat & Car! 24hr Security monitoring & 7 day gate access! Moving Boxes & Supplies! Call Now! Serving Niagara Region since 2001. We specilaize in Packing and Moving Seniors. Owner works every job! Call Fred today for a free estimate. Consultez le bureau de l’éthique commerciale si vous avez des doutes une entreprise de déménagement à St Catharines ON.